There are some foods from my childhood that I thought my mom always did better than anyone else. I might be a bit biased because that’s what I was raised on, but my mom is a really good cook. Her mom passed away when she was only fourteen, so she’s been cooking for a very long time. The only bummer is that when I’ve asked her for certain favorite recipes, the answer is usually that she doesn’t have a written recipe. Like a lot of Southern home cooks, the recipes are all stored in her head. I’ve asked how to make things like her potato salad, deviled eggs and tuna salad, and she can’t give me exact measurements. She just “knows”. Her tuna salad was a family favorite when I was growing up. 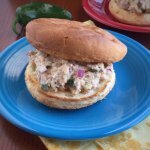 I’ve made variations of tuna salad over the last several years, but her’s will always be one of my absolute favorites. Love you Mom! Now, I was raised on Miracle Whip, but haven’t purchased any of that since we were newlyweds. My husband is from Team Mayo, so I’ve slowly grown to love it, too. I’ve made my own mayo a few times, but I don’t really like doing it. I’ve had it “break” on me a couple of times and not been able to fix it. Waste of eggs and oil. Plus, we don’t it very often, so I don’t feel too bad about using store-bought. The brand I recommend is Sir Kensington’s because I think it’s one of the healthiest options at the grocery store. 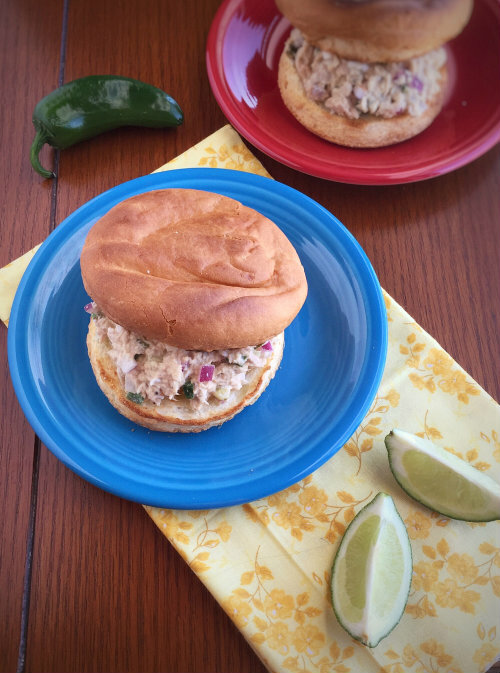 I made this Jalapeno and Lime Tuna Salad for lunch last week. We had it for lunch two days in a row, and I was really wanting it the day after that because I enjoyed it so much. If you want to make it spicier, you can use the seeds and ribs of the jalapeno. I chose to get rid of those and just have a bit of heat in the background. You can also vary the amount of ingredients, if you prefer. Want more lime flavor? Add more lime juice. Prefer to not have red onion? Use some green onions or chives instead. 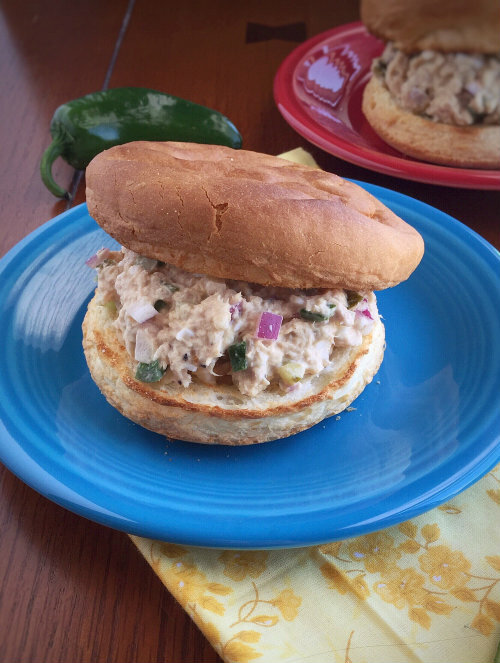 I just love the crunch of red onion in the tuna salad. It’s your call. I served mine on some gluten-free hamburger buns, but you could also serve this on a bed of lettuce, in lettuce cups or just regular bread. In a small bowl, mix the mayo, lime juice, dijon mustard, cayenne and garlic powder together. In a medium-sized bowl, add the tuna and flake it with a fork. Add the jalapeno, celery, red onion and dill relish. Add the dressing and gently mix until well combined. Refrigerate for a few hours to let the flavors marry, then serve. By Tempie at August 3, 2017 .